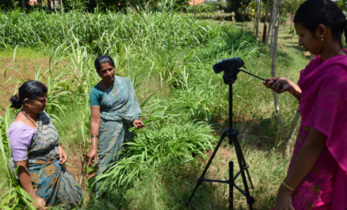 In an important FAO executive summary on ‘Future Smart Food’, ICRISAT scientists Dr. Suhas Wani and Dr. Gajanan Sawargaonkar suggest that strategically increasing the use of paddy fallow cultivation can boost incomes and family nutrition 1. The FAO refers to Neglected and Underutilized Species (NUS) as Future Smart Food (FSF), since they are environment friendly, nutrition dense and locally available. Pulses (pigeonpea), roots & tubers (sweet potato) and nutrient-rich cereals (millets & sorghum) are few FSFs that can contribute to achieve the universal goal of ‘Zero Hunger’. 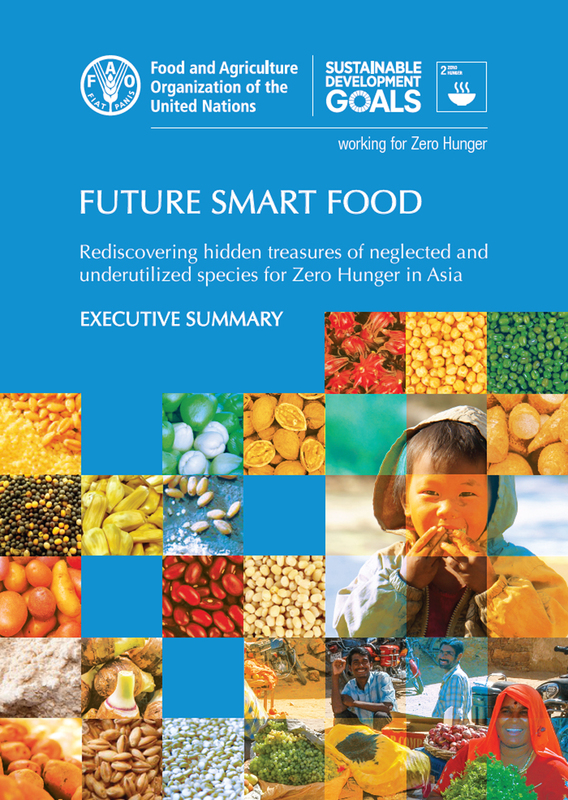 The Future Smart Food Initiative was launched by FAO’s Asia Regional Office, in collaboration with 30 national and international organizations. In his foreword in the Future Smart Food publication, José Graziano da Silva, FAO Director-General emphasized that only 103 out of the nearly 30,000 edible plant species worldwide provide 90% of the calories in the human diet. “Over 60% of the world’s caloric intake comes from just a few staples such as maize, rice, wheat, soybean and potato,” he adds. 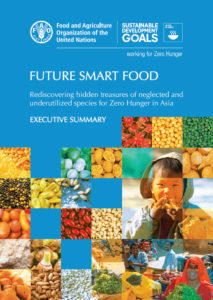 The publication aims to demonstrate the benefits of NUS to eradicate global hunger. It identifies promising nutrition-dense, climate-resilient, economically-viable, locally available varieties, highlights opportunities to harness these and provides an enabling environment for promotion, production, marketing and consumption of Future Smart Food, towards healthy diets. Achieving ‘Zero Hunger’ and eradicating all forms of malnutrition is a UN Sustainable Development Goal (SDG). Increasing productivity and addressing poverty is one of the pathways to achieve better access to nutritious food. ICRISAT scientists who have authored a chapter in this publication suggest that paddy fallow cultivation in Asia should be promoted in a holistic way because dietary diversification starts with agricultural diversification. 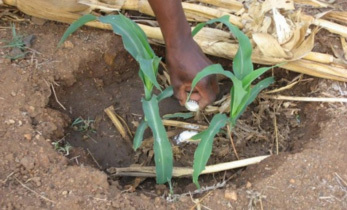 “When combined with specific on-farm practices, inter-cropping and better seed varieties, the unit productivity and crop yields can increase in the range of 40% to 100%” they add. A 2017 policy brief on Future Smart Food suggests that low dietary diversity and dependency on a single staple crop can result in insufficient intake of nutrient-diverse food leading to a significant nutrition gap. On the other hand, over-utilization of few crops has attracted steady investments and research, strengthening the value chain and market pull of those crops. This has marginalized the consumption and market opportunities of other basic food crops giving rise to a food system divide. About 90 million people in Africa and Asia depend on millets in their diets and 500 million people in more than 30 countries depend on sorghum as a staple food. Yet, these climate-resilient, water-efficient, culturally significant crops have been neglected in favor of rice, wheat, soybean and maize. Recently ICRISAT partnered with FAO and several grassroot organizations to address the challenges of malnutrition in India. It was found that poor dietary diversity is the main cause for consistent malnutrition. To contribute to sustainable agricultural development and the larger global movement for nutritious and sustainable foods for better health and wellbeing, ICRISAT has been spearheading the award winning ‘Smart Food’ initiative since 2014. The global ‘Smart Food’ initiative focuses on food that fulfill 3 criteria; good for you, the planet and the farmer. 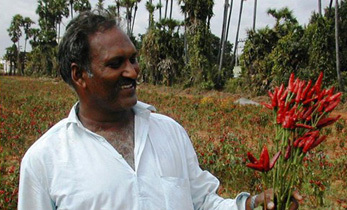 One major objective is to diversify staples with an initial focus on millets and sorghum. The approach will be through a market pull driving consumer demand, working with food processors, the food service industry and the whole value chain linking in the farmers more closely as well. The goal is to generate greater investment and support for research and development of value chains for these less focused upon, nutritious crops. Synergy among stakeholders including governments can help mainstream NUS and ‘Smart Food’ as they are good for the consumer, good for the planet and good for the farmer. 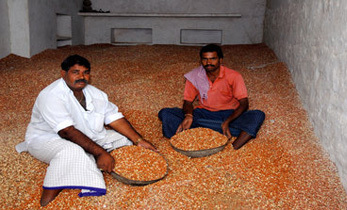 Read more about ICRISAT’s work in pearl millet, click here. 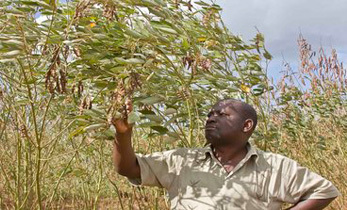 Read more on ICRISAT’s work in sorghum, click here. 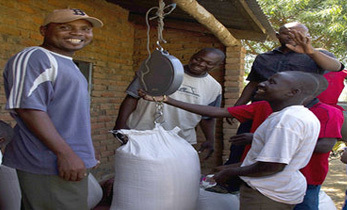 Read more on the CGIAR Research Program on Agriculture for Nutrition and Health, click here. A great “Smart Food ” initiative by ICRISAT to achieve UN’s Sustainable Development Goals to achieve Zero Hunger and eradicating all forms of malnutrition. As suggested for diversification of staples, millets and sorghums would be right choices. Government will have to play greater role in coordinating all the stakeholders like consumers, farmers, food processors and food service industries.